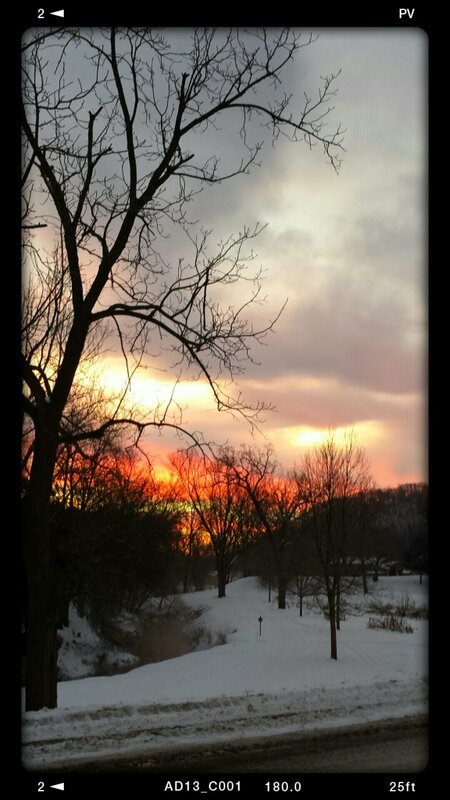 -20 below zero on the thermometer this morning, but look at the kind of sunrise we get. This shot was actually take earlier this month at -25 below. G4 phone camera so depth of field’s lacking and not so sure now about the throwback frame. Meh. But both the sunrise and sunsets we’ve been getting in this bitter weather have been knock-you-over beautiful. Crystalline cold clear air and sun at a low angle.